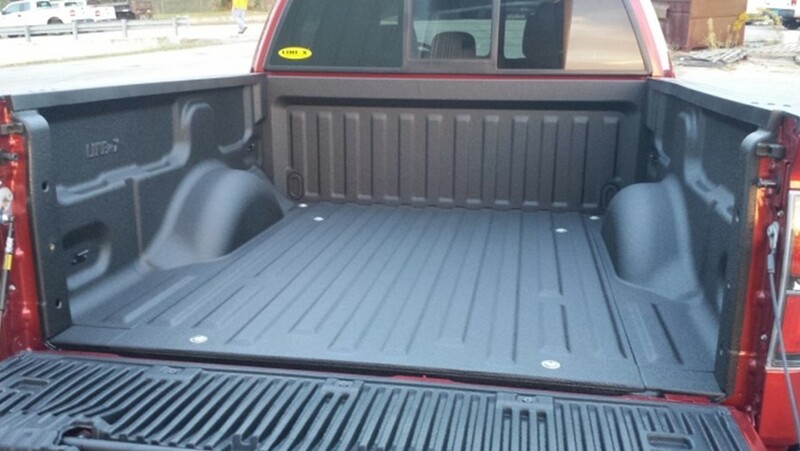 Bed liners basically act as a protective sheath for your truck. It protects the truck from UV lights, corrosion and other natural elements. These bed liners also ensure safety of your goods and cargoes. They will stay fixed while you carry them. Maintaining a truck is never an easy task. There are numerous DIY techniques to make your own bed liner for the truck. In order to get the best DIY bedliner for yourself, you need to follow the guide till the end. Before you go on to purchase your own DIY bed liners, the first step is to protect yourself. Doing the work in a protective environment is what makes the difference. You need to make sure that area that you are using to carry out your own task is well ventilated. Each of the spray guns and rollers has their own chemical composition and spraying it in a closed area will lead to suffocation. These chemicals will also harm you. Also ensure wearing the safety glasses to protect your eyes from particles. If you go on for painting your truck in the open, it is even better as the sunlight will speed up the drying of the paints. Not only this, a respirator is also a must. The bed liners contain a lot of chemicals which can lead to severe damage to your body. Along with this you ought to have your ears covered and wear gloves while carrying out the tasks. Clean the surface properly with broom in order to remove dust, debris etc. You may alsowash it with water. If you are planning to use a spray, ensure that all the other parts are completely covered and hidden so as to prevent the spray from affecting the area. Go for scuffing to ensure optimal adhesion. You need to ensure a bond between the liner and the surface. Sanding is required to remove any of the settled particles, dust etc. You may apply primer, oil based or normal to offer durability. After the primer has dried, clean the surface by using acetone. Make sure to wear the respirator, gloves and other equipments to protect yourself throughout. Now, you can go on to brush or spray wearing the proper aids. Along with this you need to ensure buying the best DIY bedliner kit that suits your trucks needs and does not affect your pocket too. People are always in a dilemma as to which kit and painting methods should they use for their bed liners. There are no strict rules to decide this. It completely depends on your convenience. Be it spray, brushes or anything else. Select the method that suits you the best and is easy for you to work with. Remember to wear all the safety equipments before you work with these.